I hit that milestone last night. 50 hours in a game. That is roughly five “AAA” single player campaigns, by today’s soft production standards. The biggest two compliments I can give this game from a time perspective is that firstly, I feel like it was my first day with the game yesterday (time flies when you are having fun) and secondly, it continues to surprise and delight with discovery, storytelling, immersion, and depth. To to my general gushing fanboyism of this title (ongoing) I feel like it is important for me to disclose here that I haven’t received anything free from Digital Extremes. Not even a “thank you”. Quite the opposite actually, I would like to thank them for making such a game that really fits my personal needs and tastes in gaming right now. That’s the moon. It didn’t age well in the future. While by design or not I hit a major milestone in the story last night. I am not going to discuss it here – keeping this post spoiler free – but the mission and story surrounding it really solved the biggest question I had up to this point – who I am and why I am doing this to begin with. That is a bit crazy to have that realization not show up until the 50 hour mark but I have to admit I didn’t take a straight line there. Still, I am guessing, even if I did sprint to the finish line on the story quests it still would have been 30+ hours in – that is still just a guess, it may be 40+ hours. I am trying to retrace my steps on where I went off the linear path. Either way – it speaks to the amount of content when you can’t sort out a question like that. Back to the story – there is still far too much unresolved, and I am only half way through unlocking my Star Chart (the map with the missions) so I am hoping and expecting that the story will continue. What this major step did was resolve the past – who I am am/was, why I am doing all of this, and who the Lotus is. (The talking head guiding you through missions). It’s a doozie. My main fear of this story line is that it will end up like Destiny or Destiny 2 – in Destiny lore, less was more. The story was better when the player added in the missing parts. When Destiny 2 went full lore and explanation, it was some of the worst writing and story concepts (like, ever) and I felt like it would have been better left half unbaked so the player could continue to create a more sensible and creative narrative. Either way, Destiny has passed the point of no return while Warframe still has the opportunity. I continue to be amazed at the artwork and map design – especially because it is a randomized tileset – but they have incredibly strong rules built in to make areas coherent and incredible. I spent 15 minutes exploring a cloning facility to try and trace the route they were moving the clones. I ended up in a room where machine plucked pods into a circular holder one by one, slid them down a line, attached an assortment of cables to it, and then pushed it up into what looked like a “delivery” area. I wish I would have made a video. I tried to get into the areas I shouldn’t have to explore further but the game did cut me off from that. I came close though, that felt good. It was just so believable. I felt like I was in a proper, fully operational cloning facility. There haven’t been many games – if any – that has made me explore in awe as much as this game. Flooding a room as a mechanic versus a robotic exosuit? Nice Try. Still, nice statue. The unknown of it all has my imagination racing about the possibilities. This is not your typical fantasy story standard in a science fiction setting that we often see (well done still, mind you) with Star Wars and the like. The parts I have discovered have been mind expanding, incredibly interesting, and different. Which makes it that much more interesting to me. 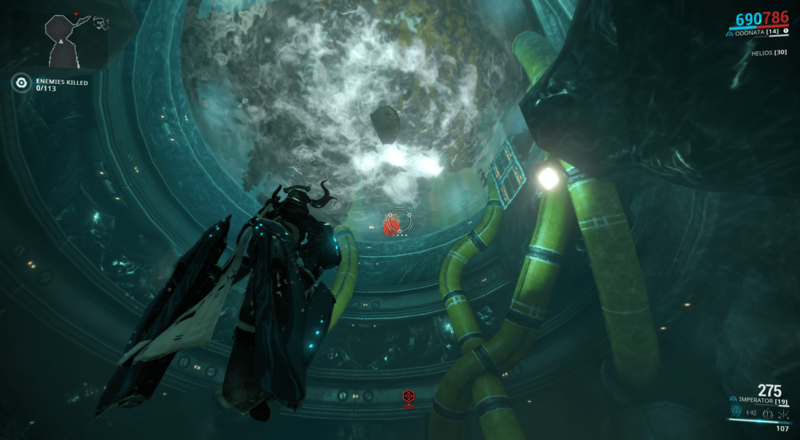 Take the Grineer – they inhabit most of earth now. They are cloned humans that were used as the disposable work force to a powerful group that ran the show (keeping this bland enough for spoiler free discovery). They figured out they had the numbers and revolted. They are now lead by two queens (of which I know little about at this time, but I have heard and read an understanding that there is a story mission surrounding them coming up – hopefully soon!) and are fourteen billion strong. Simple technology, using a strategy of throwing as many people at a fight as possible to wear them down – a war of attrition. They are slowly falling apart though as they have cloned upon cloned and the genetic strain of DNA is becoming weaker and weaker. They infuse their bodies with technology to make up the difference. They face extinction if they continue to clone, but must continue to clone to survive. The things we are experience in current, modern day science is a good precursor to this. Uranus has many underwater transitions – the first time this has been used on any planet. Oddly enough the story isn’t even the focus of the game and I can’t help but believe it has been added on slowly over the years on top of the gameplay. The gameplay is still the breadwinner here but they have found a good combination of both. You can just play and ignore those parts, focus solely on those parts, or do a combination of both. That is the camp I am in. The only thing I am worried about now is that the end game (whatever that might be) may not be as fun or exciting as the journey there. I suspect I have another 50 hours of gameplay before I find that out – at least time is on my side. 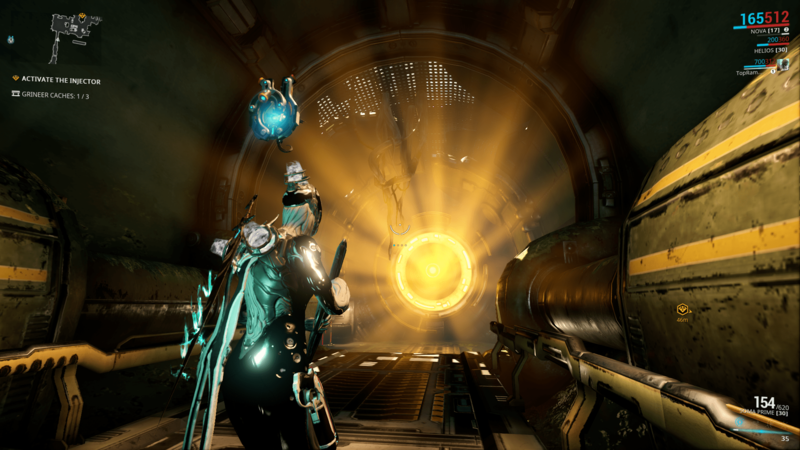 I now have 7 Warframes and 28 weapons, and many pieces of others that I will soon get to build and level up. The variation and discovery here has been incredibly fun. I do find weapons I don’t particularly love but I still level them to 30 as it is the primary way to move your character forward. It also truly gets me to spend enough time with the weapon or frame to make sure I understand it. I am excited to start using a laser whip soon – as I haven’t spent as much time with whips in any video game as in the bedroom I think I should have in the past. Interesting to see how they built that into this game. 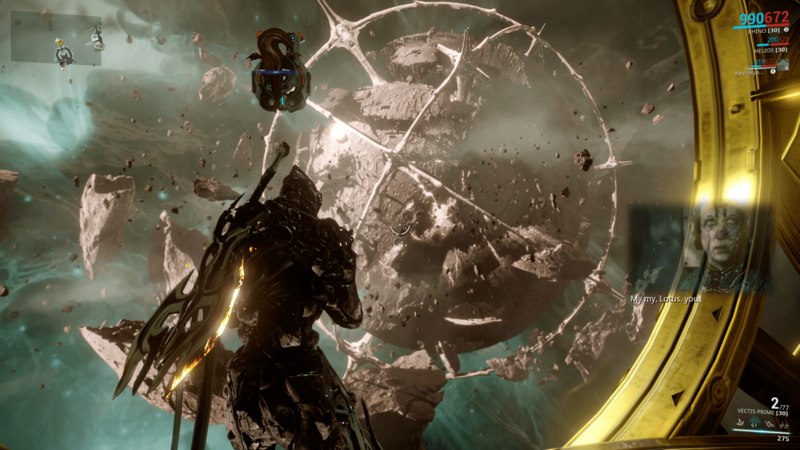 I know other bloggers are playing Warframe right now and there is a general sense of positivity around the game in a lot of gaming media right now. I do qualify my experiences here with this is just working for me right now. Others may not have the patience or interest to go 50 hours before sorting out what should probably be considered the biggest plot twist in the game. Truth is, I am already so invested in the game and the universe that it was an amazing moment for me. Others may never get there or may not have been hooked to begin with. I don’t know what is worse – that I have have zero desire to play any other game out there (or coming out soon) right now, or that I don’t have anything else to really write about these days. I’ll spend some time thinking and writing about the improvements the game could make too – it’s not perfect. Right now though, for me, pretty close. I managed to spoil myself somewhat on the plot twist, while reading up for info on Warframe, though imo, it won’t take away much of the experience when I finally get to that point. 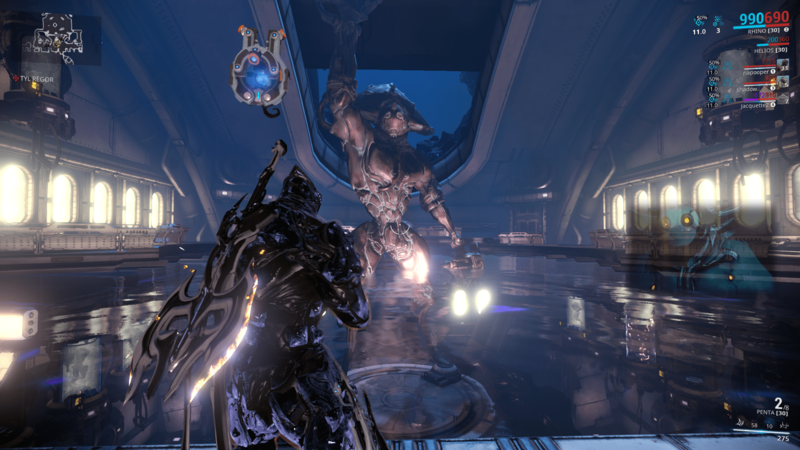 While you’re at it with nothing else to write about, could you possibly share how you’re modding your weapons and warframe from a newer player perspective? I’ve been finding lvl 15-25 enemies the limit of enjoyable experience at my current stage of mods, and every time I want to progress further, I run up against the wall of builds that are written for some endgame stage involving a ton of mods I’ve barely heard of and can barely earn, a sort of classic catch 22. 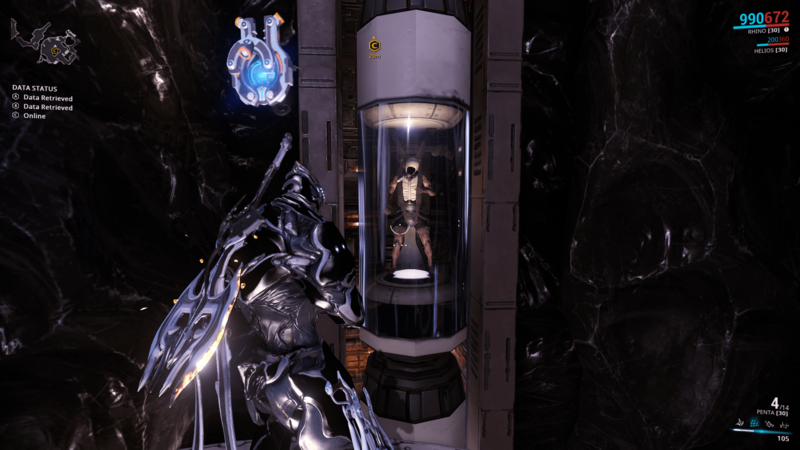 At that point, my head starts to hurt, the alerts keep flashing, and before you know it, my entire Warframe time is pumped into lvl 5-15ish alert missions earning extra credits, endo, cosmetic blueprints for warframes I don’t have yet, and the odd named mod that looks nifty at some point in the future, but I can’t actually use right now.